Paonia Friends is heavily involved in the support of Foreign Missions. We believe God’s word in the Bible to “Go into all the world and preach the Good News to all creation.”(Mark 16:15) We support Evangelical Friends Mission (EFM) which is an organization that carries the gospel of Jesus Christ around the world through many different avenues. Paonia Friends specifically supports missionaries or national workers in the following locations. 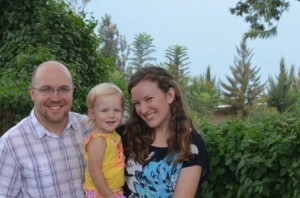 EFM began in Rwanda in 1986 with a Friends missionary team who had previously served in Burundi. Experienced and capable, they built a strong Friends church and several schools in this receptive country. 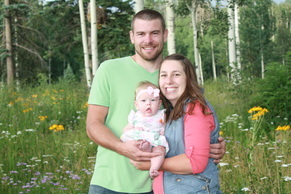 EFM’s and Paonia Friends current missionaries are Brad and Chelsea Carpenter. Their work involves stimulating the national leaders in fresh initiatives of evangelism, cell groups, and church multiplication. Also the national leaders are transitioning to self-support for their ministries, a major step forward. Friends have over seventy churches in Rwanda. Twenty-nine churches have been added since 1994. Friends in Rwanda seek not only to win new people to Christ and plant churches, but to be a force toward forgiveness, reconciliation and peace. 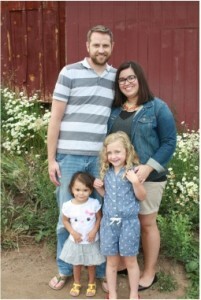 We also support Edwin and Maria Giron who are missionaries to Aguascalientes, Mexico. In this city and surrounding area, less than one percent of the people are free in Christ. However, the climate has become receptive to the Gospel and the Girons are doing and exceptional job of reflecting the love, acceptance and forgiveness of Jesus Christ to their neighbors. 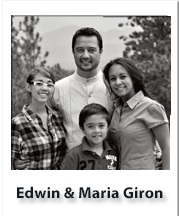 You can email them: giron@friendsmission.com. Through Evangelical Friends Mission (EFM) we support missionaries all over the world from Ireland, The Philippians, India, to Nepal and ministries to Muslim students. Malcolm and Leah Hillewaert minister to college students in Durango, Colorado. States we give generously to local Good News Clubs, 2 families involved with Master Plan Ministries on college campuses in Durango and Grand Junction, The Pregnancy Resource Center in Delta, and Where Grace Abounds – a ministry to homosexuals.